An online business can be successful when there is a high conversion rate. The ideal focus for any business should be to create an interactive web page that will draw users towards a call for action. 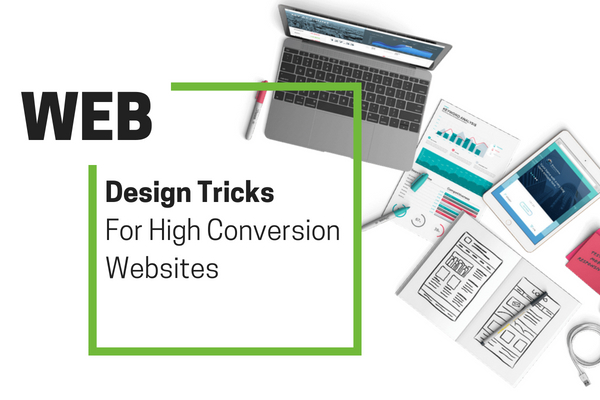 In order to achieve a high conversion, the design should be one that is simply easy to navigate, without too many interruptions, communicates brand design and value well, and is focused on its selling point. Beyond creativity, a business should nurture the user’s desire to pick you in a natural thought process. 1. Move towards a content-centric focus rather than being device-centric. Given the constant evolution of technology, focusing on integrating into devices should be part of the general web design process. Using content first-approach, we can focus on building content models in a way that can be adapted into voice platforms or personal assistant apps, like those designed by Google, Apple, Amazon, etc, so that users can see your business’s value proposition and selling point with clarity. 2. Try to market better even on your shopping cart pages. Shopping cart widgets that offer cross-sells, upsells, or even bundled offers, can push users to pick the cost-effective alternatives. Market reports have shown that the use of such marketing tools generates an ROI with about 10-30% improvement in sales. 3. Focus on simplifying navigation and integrating more interactive tools. Two key features that can help with easing up navigation are micro-interactions and multi-step form. Micro-interactions are visual responses that are triggered by a user’s action, like the like or love button that animates on Facebook. When implemented on a consumer-oriented website for payment, review, or feedback options, the user feels more engaged in the interaction process. On the other hand, instead of having a user fill detailed forms involving a lot of typing, multi-step forms that have visual interactions and touch gestures can excite a user. This removes a major conversion barrier that the traditional forms had built up over the last decade. 4. Use the advantage of predictive analysis and AI. AI contributes significantly to catering towards optimized user experience. Integrating machine learning tools and predictive analysis, a business can focus on each of its user’s individual needs by allowing for the user to receive optimized offers and trend suggestions. When the user feels a connection with the web page due to relevancy, the rate of conversion rises considerably. 5. Focus on your call to action. Color and position directly affect a user’s call to action. Instead of cramming too many such actions in a page and confuse a user, focus on one call to action per page so that the customer reads the clarity of your content. Based on the conversion rate data, you can study which of your calls to action are actually working and how many of them are simply being ignored. Rectifying the ignored ones is crucial to develop a better web design. Ofcom’s report revealed that in 2014 only 22% turned to their phone first for browsing the internet; proving a real surge in mobile use. The availability of 4G has also impacted how people use their mobile devices. Over the course of 2014, 4G subscriptions skyrocketed from 2.7 million to 23.6 million. Ofcom also recently reported that 7 in 10 adults use a smartphone now. For these reasons alone, it is important to invest in mobile adaptability. 7. Bridging the gap between online and offline content. Though the progress has been gradual, the gap is closing in as brick and mortar stores are adapting to online needs of a customer. Allowing the concept of a modernized shopping experience, for example, Starbuck shops allow you to place orders and pay online while the customer can pick their coffee on the go. This enhances conversion rates to a great manifold. All these design changes are focused on optimizing user experiences. To effectively launch a web page that is highly customer oriented with maximum conversion rates is only possible through the constant upgradation alongside technology. The more you bring to the table for the user, the more they are bound to return back to you.